Your business is only as safe as your backup policy. With flexible remote backup service from Pipe Ten your data is with a company and locations you can trust. Stored on Pipe Ten’s backup servers in quality secure facilities. 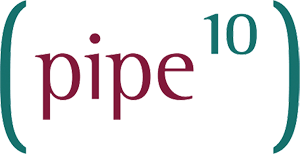 Pipe Ten has been operating backup services for it’s own servers and customer’s data for over a decade using only tried and trusted hardware, software and partners. Data transfer/bandwidth is inclusive of the service storage cost for both backup and restores, unlimited where reasonable. This fully managed service includes free installation and ongoing monitoring and alerting to problems or improvements in your backup policy. Extending the Pipe Ten Backup Policy to your own private server provides complete protection against data loss and swift disaster recovery. Linux or Windows / Physical or Virtual. Block level bare metal recovery. Individual file / folder restorations. Indiviudal database restorations for MySQL & MS SQL Server. Free agent installation and update management. Monitoring and Alerting to backup failure, investigated and resolved by Pipe Ten Engineers. RAID1 (protected) backup server storage providing optimum backup protection. High Level of data storage compression and encryption. Expert advice on your disaster recovery and business continuation planning. Storage costs from 10p per GB per month.